Sharp’s goliath new LCD panels aren’t just for bragging rights in lavish home theaters any more. 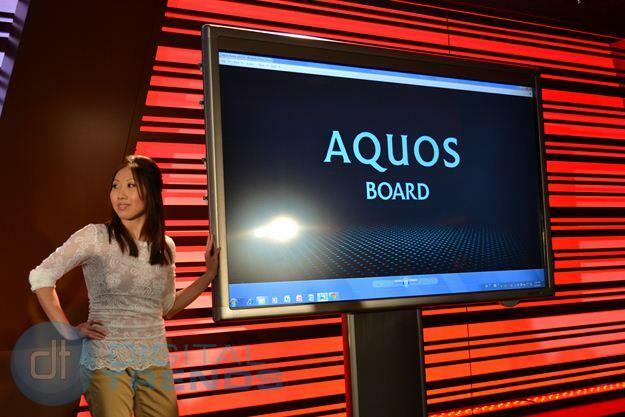 At the opening of CES 2012, Sharp applied its new bigger-is-better mentality to the Aquos Board, a combined TV and computer that uses its latest 80-inch LCD panels to effectively replace both the office whiteboard and boardroom projector. The rather industrial-looking, metal-rimmed PN-L802B uses an integrated PC running Windows 7 to handle everything from your vanilla PowerPoint presentation to HD video conferencing. 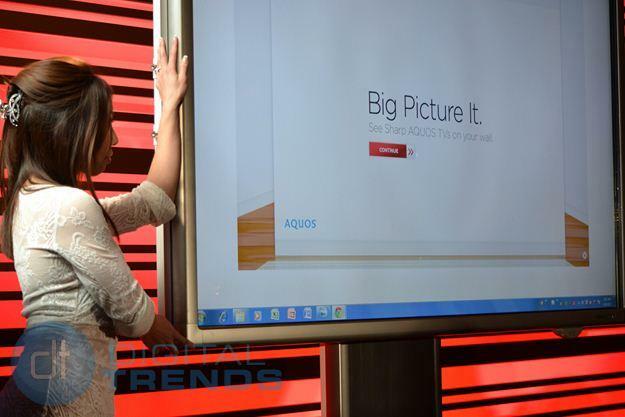 Rather than controlling it with a mouse or trackball, the entire 80-inch surface supports multitouch input for moving objects around, press buttons, and even doodling with your fingers or a stylus. 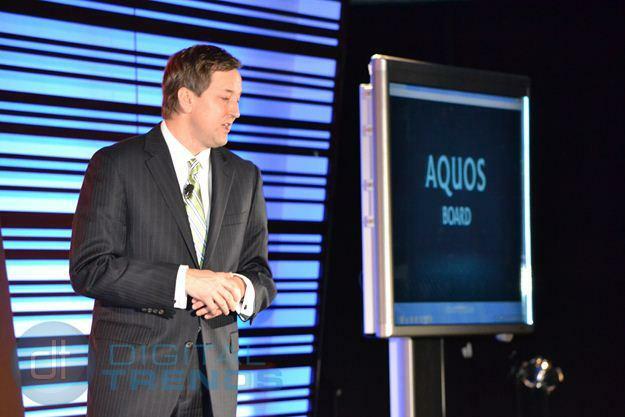 The 80-inch model joins smaller 60-inch and 70-inch models already available, but considering Sharp’s competition – projectors – the 80-inch display size should help put it more on par with what companies are already using for similar tasks. The PN-L802B will go on sale in February with a retail price of $13,795.